Tuning in to Kids™ LIVE ONLINE. I’ve released the program to my waitlist and most spots are already taken, so LIMITED spots remain. 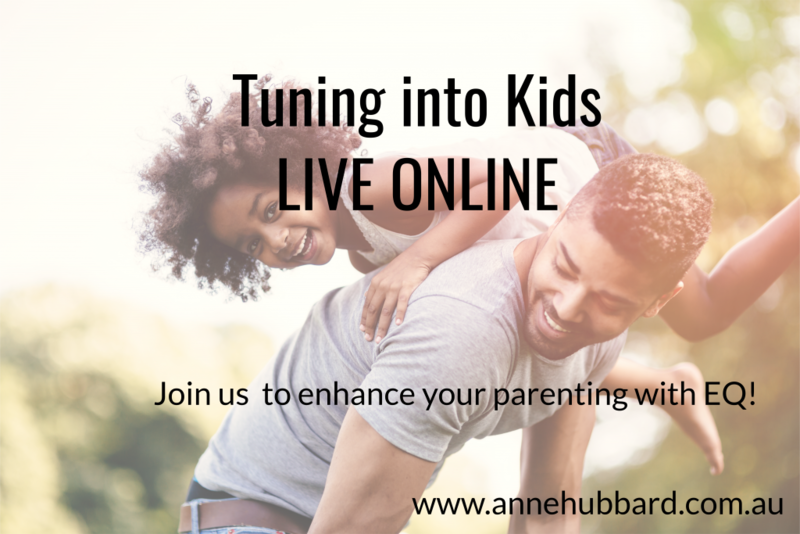 The online program with me is replicated as much as possible as if we are in the same room but you can join us from the comfort of your own home, free from having to travel or organise babysitters and you can participate with your partner as well! It aims to help you and your child manage the many emotional challenges of this stage of life. Tuning in to Kids™ is a six-week parenting program run one day/evening a week for two hours. The program will teach you how to manage your own and your child’s emotions in ways that help you to remain close and keep communicating. By learning these skills, you are less likely to have as much conflict within your family and your child are more likely to talk to you about the challenging issues they face.